The California Wine Country is the ideal place for a visit. It is beautiful, relaxing, and exiting at the same time. California is famous throughout the world for its can-do attitude and innovation. It is an electric place, where the old and the odd mix together well. This attributes are true of its wine industry. 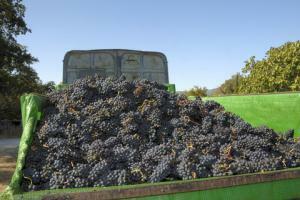 By now many people have heard about how California Wine conquered France in 1976. As the story goes, there was a blind tasting where top wines, including starts from Bordeaux and Burgundy, were pitted against unknown California wines. Everyone expected the French wines to shine, but when the numbers were added up, it was the California wines who came out on top. This event put California on the wine map. Suddenly everyone wanted to know where the heck is this Napa Valley place! Napa Valley. Wine production in the California has grown tremendously in the last 30+ years. From about 250 or so wineries in the early 1970s, there are currently well over 2000 and the list is growing. Additionally, the places where wine is produced has also expanded. Yes, Napa and Sonoma are the leaders, but there are many other regions within California that are experimenting, and producing excellent wine. 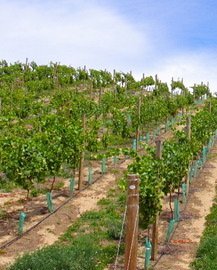 Monterey county, the Santa Cruz Mountains, the area around San Luis Obispo which includes Paso Robles , the beautiful Santa Barbara area, and then south towards San Diego with the Temecula wine country. These are the areas where great wine is being made, and large and small wineries are shinning. The giants like Gallo in the Central Valley, as well as tiny ones like Eagles Nest Winery in the town of Ramona near San Diego do not have much in common, except their love and passion of wine. And they share this passion with their brethren across California. California is a place where many people go to reinvent themselves. It has been populated by newcomers from all over the world. This has been a gift to California because it enjoys influences from many areas. It is full of tradition and innovation. Actually, you could say that its tradition is innovation. The same is true of the California Wine Country. It is about the wine, but it also about the place, the people, the food, and about the many unusual things that you might see along the way. It is the ideal place for a wine vacation. California Wine Country Is A Special Place, Enjoy!